Last year it was decided to begin taking an aggressive approach toward eliminating the drastic transition from the green to the collar surrounding the green. It was also decided to reduce the width of the collar from two mower passes down to a single pass. 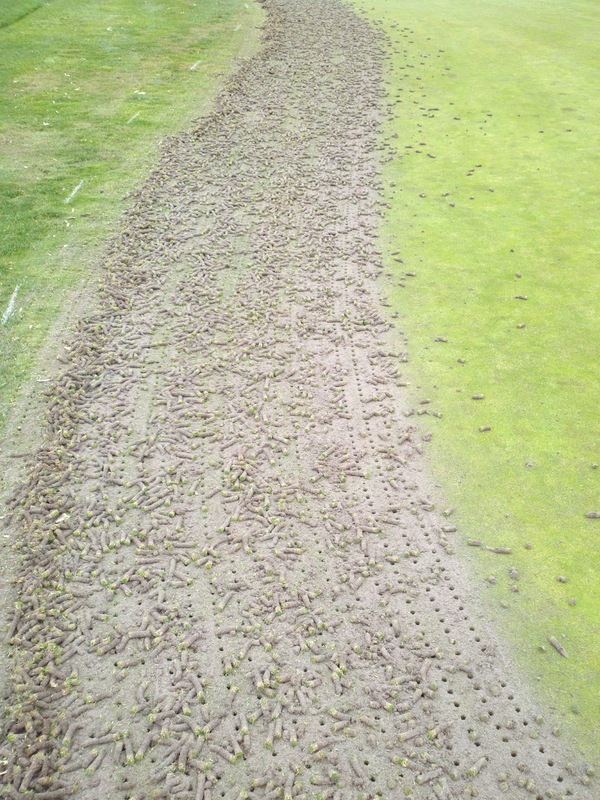 Over the last several years, the sand that has been used for topdressing the greens has begun to build-up the collars in such a way that there is now a drastic transition from the green to the collar. The reason for this is that the collars are mown at a higher height of cut as compared to the greens making it easier for the sand particles to work their way through the leaf canopy leading to less removal from the mowers. 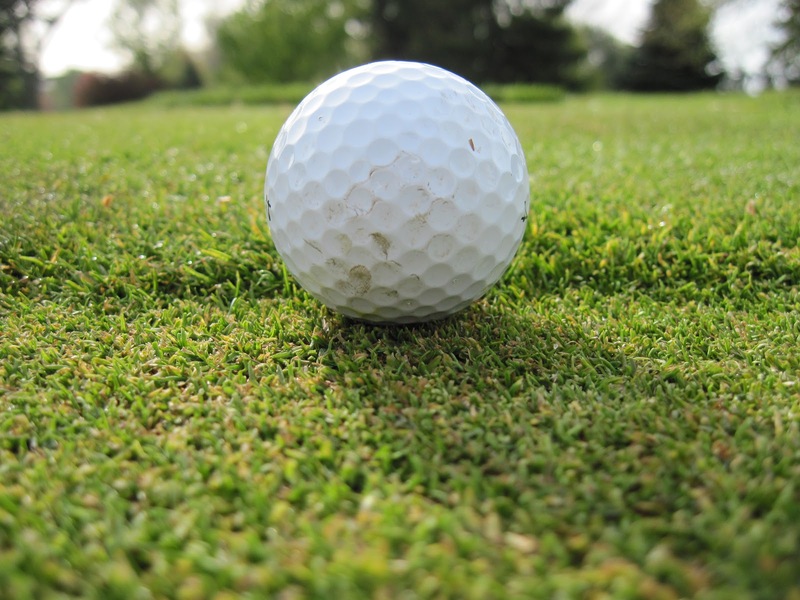 On the greens, since they are mown at a much lower height, a higher percentage of sand is removed during mowing leading to less build-up over time. 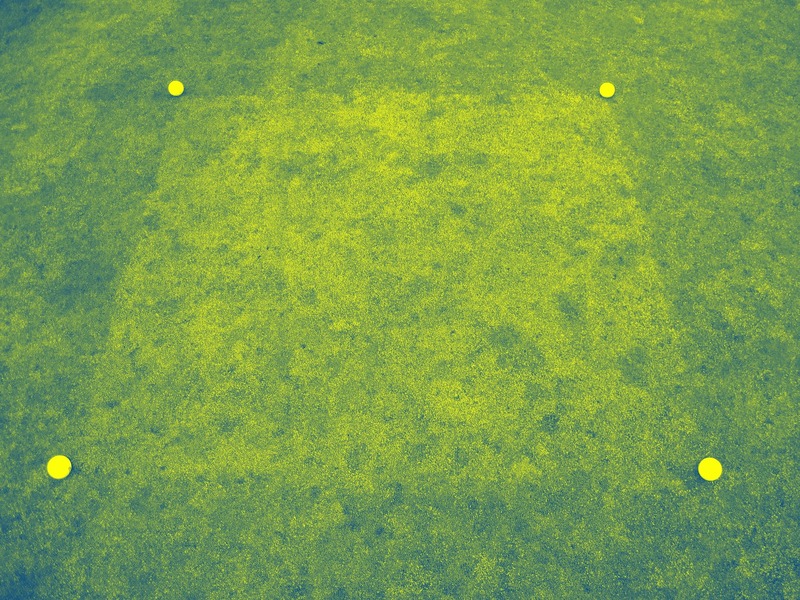 This transition between the green and collar has now led to a playability issue where it can actually be difficult to putt a ball that is on the green if it is resting against the collar. Our initial thought last fall was to gradually lower the mowing height of the collar to transition it to greens height, therefore making each green slightly larger and the collar more narrow. 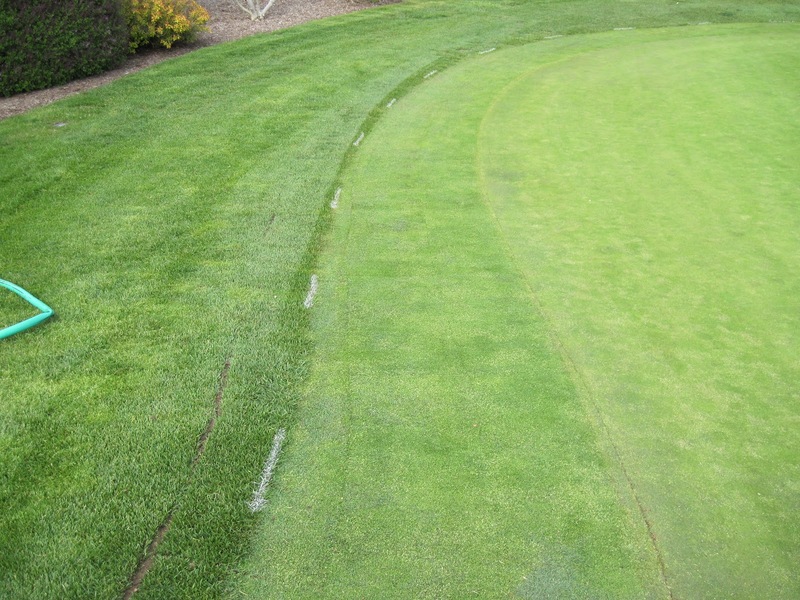 As we began lowering the mowing height on the inside portion of the collar, it became very evident that scalping was going to be a major issue and that a different approach was necessary. 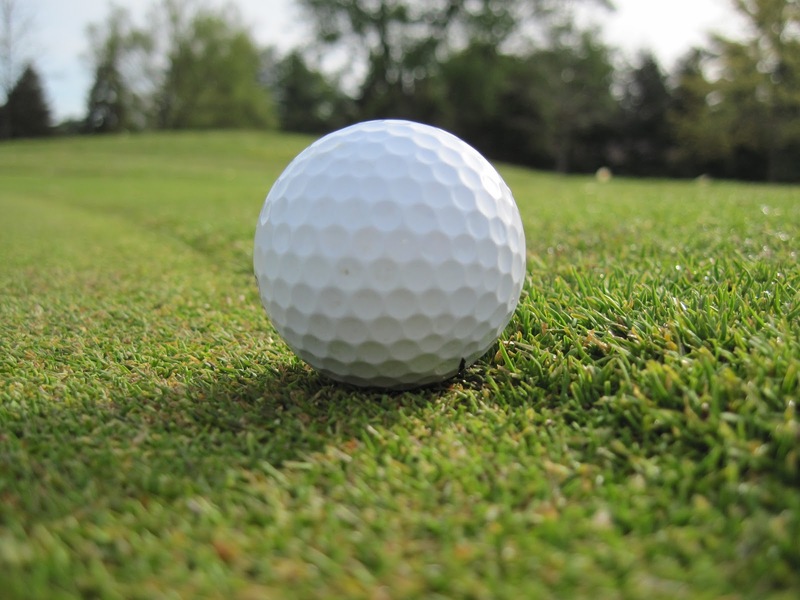 This method will provide immediate results and decent playability but will take a significant amount of time and labor. 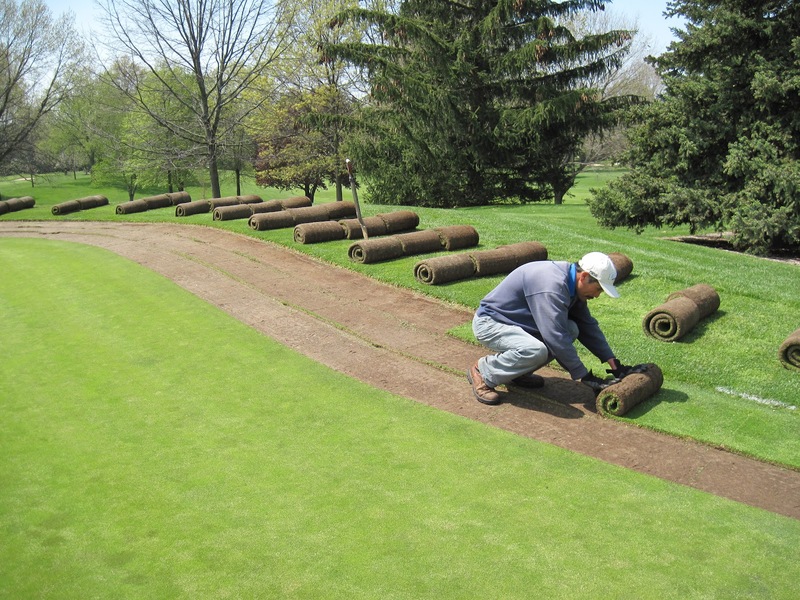 The process involves stripping all of the collar, removing excess material (soil) to help the new soil level match the level of the green, re-laying the sod, tamping, watering and rolling. It took three individuals approximately 3 hrs. to complete the process on only half of the big putting green by #1 tee. This method will take a little longer to achieve the desired results, but the process itself is very fast and is expected to take less time and labor to complete. 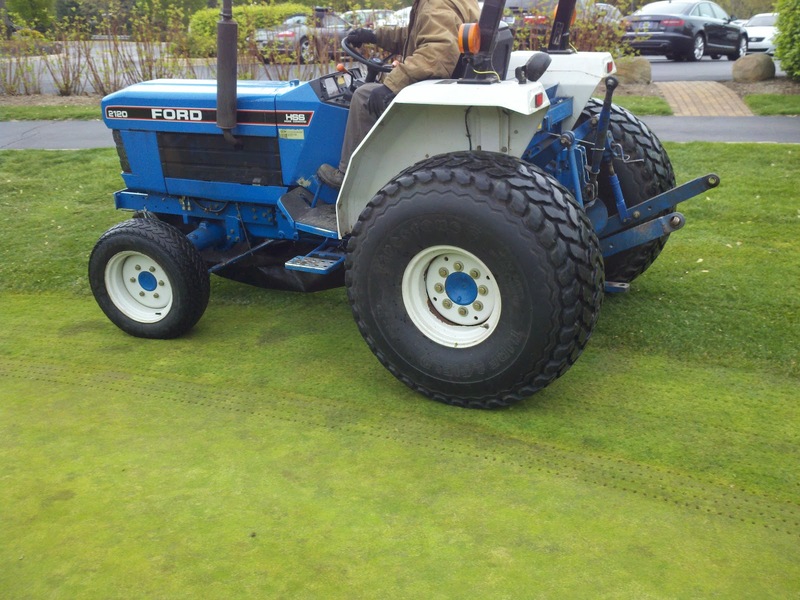 The process involves 2-3 aggressive aerifications of the collar within a month or two, removing the cores, heavily watering the collar to soften it then driving over the saturated collar with a tractor to lower the level of the collar to the level of the green. It took two individuals approximately 30 minutes to complete the process on the other half of the big putting green by #1 tee. Keep in mind that this is not the final result we are wanting to achieve. This process will need to be done 1-2 more times to get it to the point where it matches the current condition of the collar that was done with the other process. Test #1: This is not a perfect process. 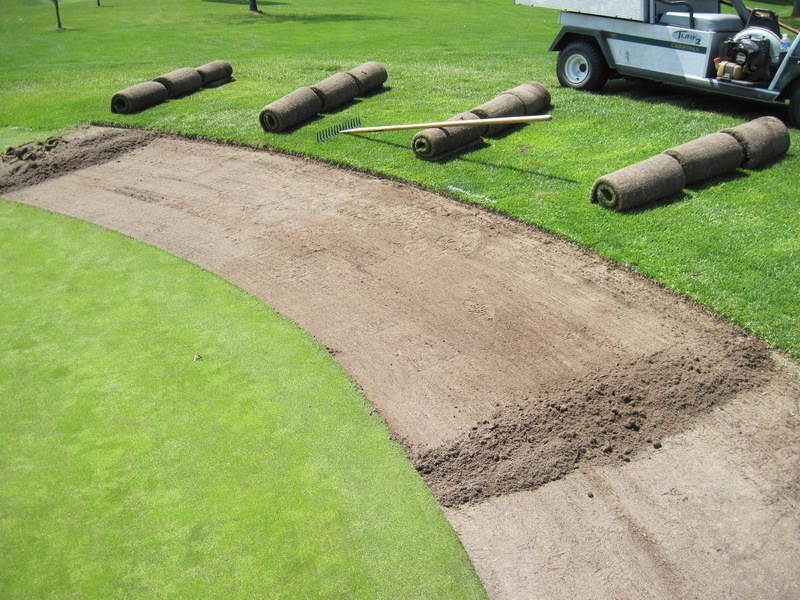 Sod seams will be visible and there may be some inconsistencies with evenness until the sod fully matures (this process is similar to the stripping and re-laying of the sod on #18 green). 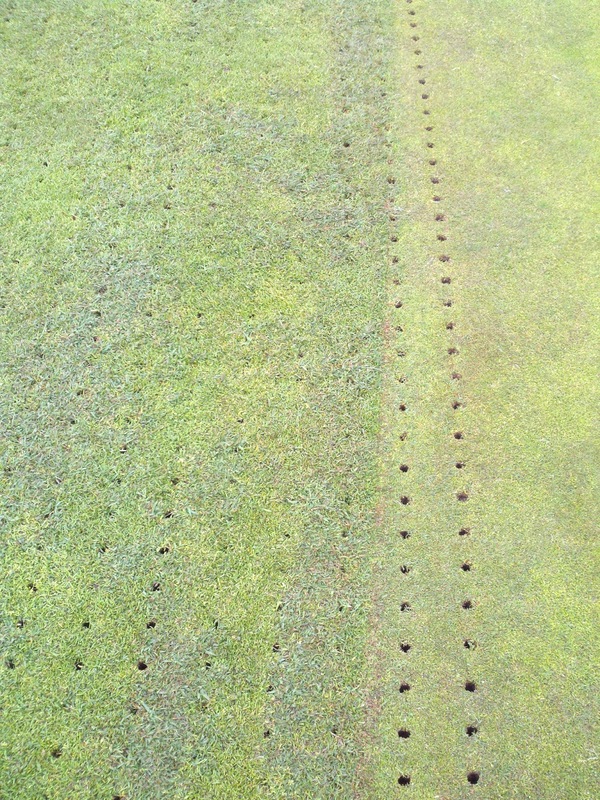 Test #2: Holes will be visible for a period of time as we want to encourage the soil to fill the holes leading to additional settling of the collar. 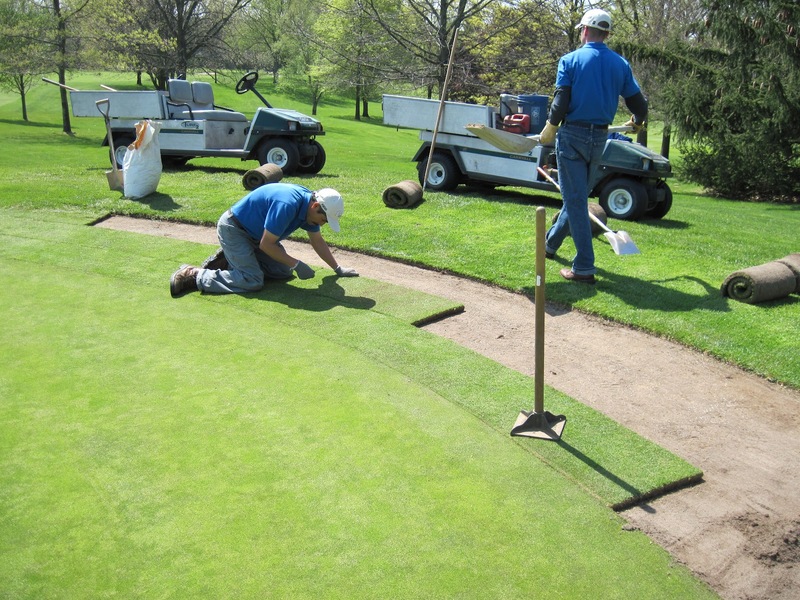 If the minimal amount of holes on the green itself is a concern, we will need to fill them with sand, lengthening the amount of time it will take to achieve our goal. What Can You Learn from 16 sq. ft.? One of the best things about my job is the educational opportunities that are available on a daily basis. Whether it comes in the form of a classroom, monthly superintendent meetings, discussions with fellow peers via Social Media or something as simple as throwing a sheet of plywood on the ground, there is always something to be learned everyday. You’d be surprised at how much info you can obtain from a simple 4’x4′ square (16 sq. ft.) of plywood. During my 6 years here, I have been closely monitoring our applications of fertilizers, herbicides and fungicides to ensure that they are necessary, timely and that we are achieving the desired results. With a struggling economy and the costs of these products continuing to escalate, it is imperative that each application not only work, but it needs to be justifiable. One of the ways I have been monitoring the performance of the products that we use is through the use of the aforementioned sheet of plywood. 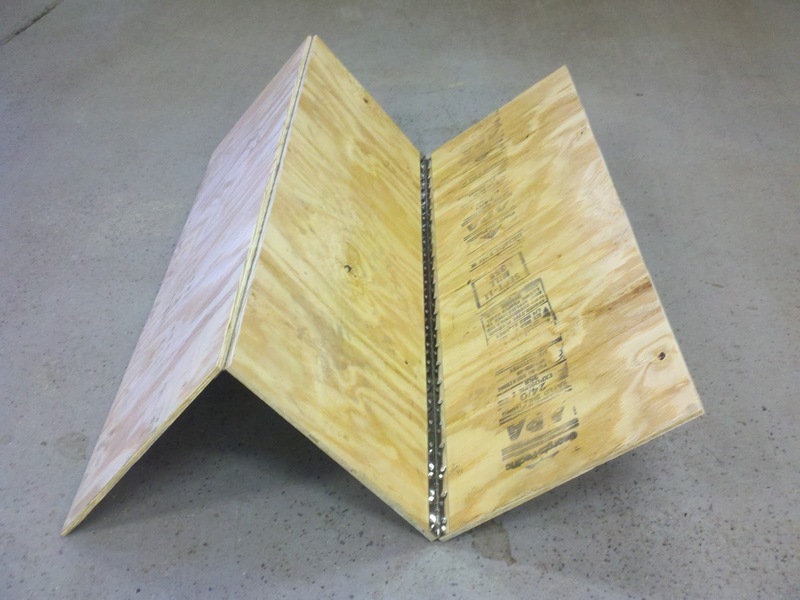 There isn’t anything tricky about how to use the plywood. Simply place it in an area that is being treated (usually on one of our green or fairway nurseries) and make the application. 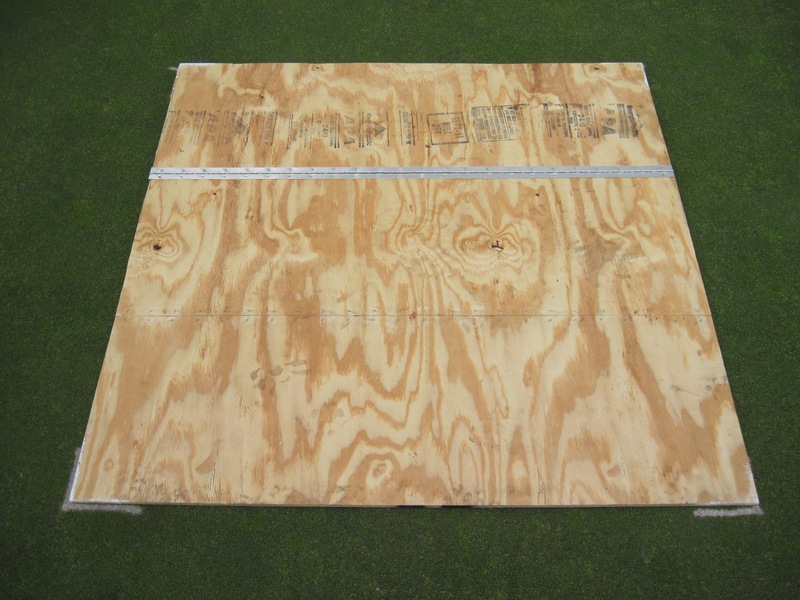 The purpose of the plywood is to shield the chosen section of turf from the application so that it can serve as a “check plot” against the treated area. After the application is made, remove the plywood and wait. 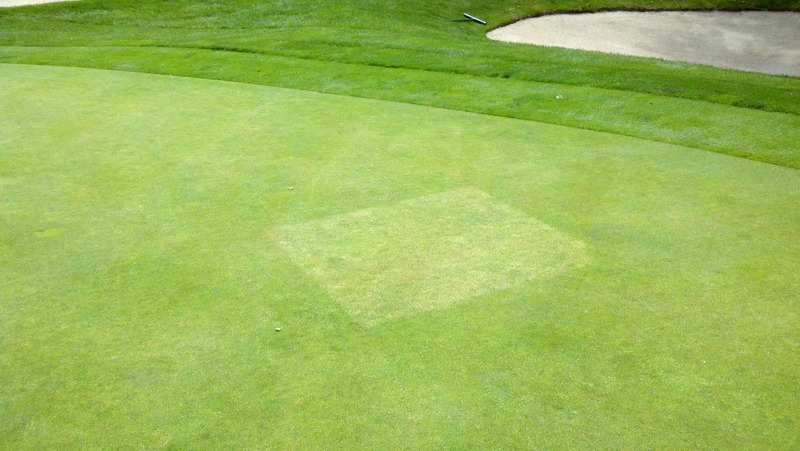 Over a period of time, the hope is that there is a noticeable difference between the treated area and check-plot. If there isn’t a difference, you could make the argument that the application wasn’t necessary or the timing was inaccurate. You could also make the argument that the product didn’t work, but in my experience that usually isn’t the case, but it has happened here. 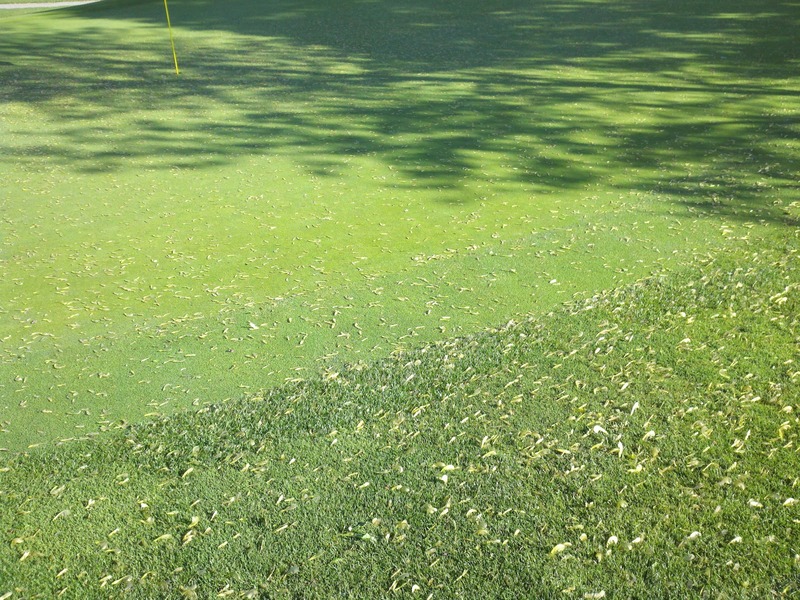 The best example of the use of check plots here at Elcona happens every spring. Everyone is aware that our greens are mostly comprised of poa Annua (Annual Bluegrass) and that it is a prolific seeder in the spring. Hopefully you are also aware that we make 2-3 applications of growth regulators to help suppress the formation of the seedheads. It is never expected that we will achieve full suppression of the seedheads, but the hope is to reduce them by 50-60%. How can we tell? You guessed it…a check plot. The photos below show you quite clearly where the plywood was placed and it should be obvious that there are significantly more seedheads in the check plot vs. the treated area. Imagine how the greens would putt if we didn’t make these applications! As we expected, the application has been successful and certainly more than justifiable. seeding within the check plot. tone to make the seedheads more visible. Every year it happens, but this year seems to be worse than in the past. What am I referring to? The unsightly and ever so annoying seeds or “helicopters” from the Maple trees, primarily Silver Maples that we hope will end soon. If there was ever a question as to why it is a priority within our Tree Program to remove these trees, there shouldn’t be after viewing these photos. As most of you know, the property that the club is situated on was originally used for farming and grazing and there were very few trees. 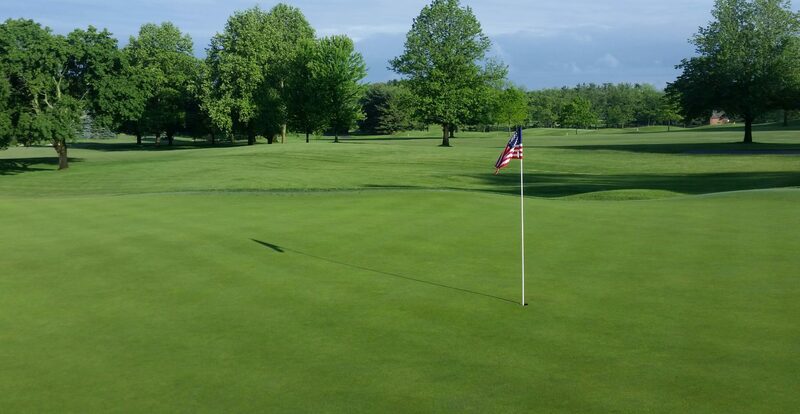 During the first two decades of the club’s existence, there was a strong push to give Elcona a “mature” look and several fast growing trees such as Locust, Pine and Silver Maples were added to the landscape. At the time, this worked well and provided an almost immediate impact, but over the last 10 years or so, these trees have become a headache in many ways. 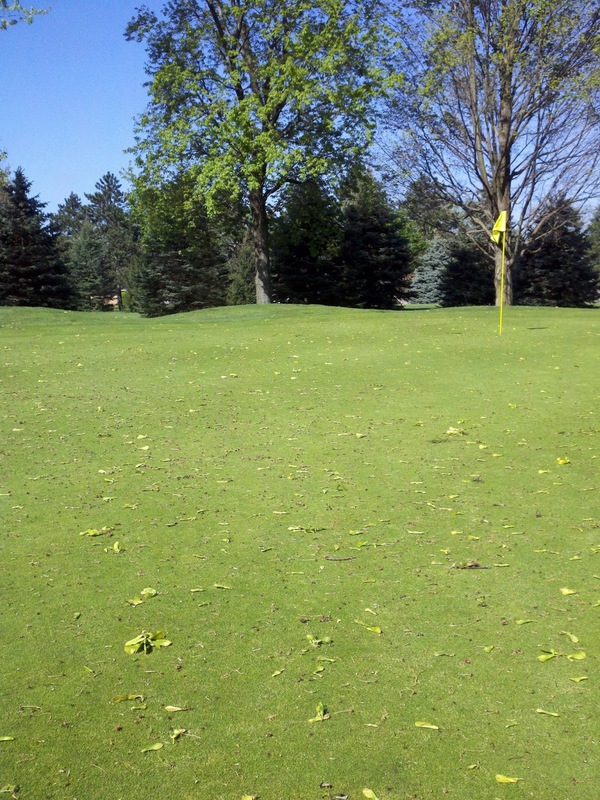 Not only are they planted too close together and leading to poor turf conditions, but because of their fast growing tendencies, they have soft wood and are susceptible to wind, snow and ice damage that leads to a constant mess on the golf course. Since my arrival in 2006, the removal of these trees, especially the Silver Maples, has been a top priority but a few still remain and are causing the mess that you see in the photos. 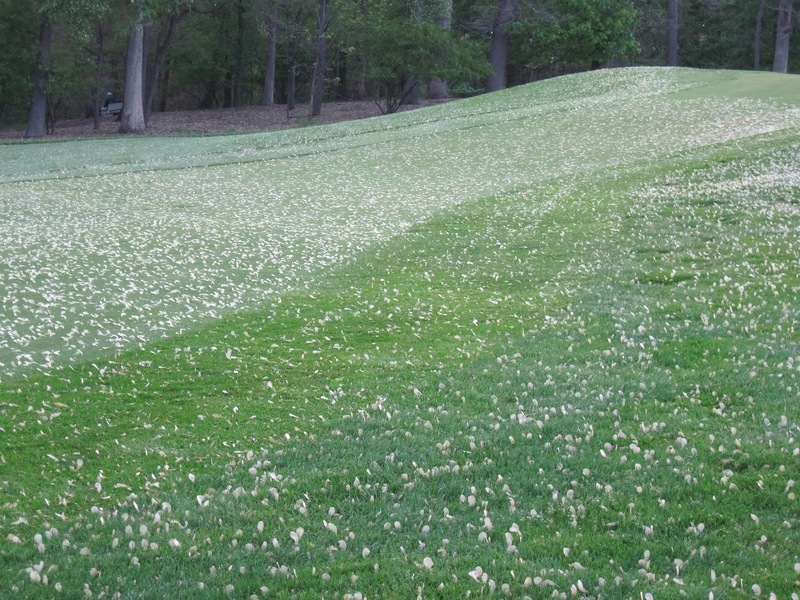 During this time of year when the seeds never seem to want to stop falling, it forces my staff to direct their attention toward clean-up instead of focusing on other aspects of the golf course that need attention. It also delays our mowing in the mornings as we need to clean and blow greens, tees and fairways before they are mown so that our cutting units are not ruined. Unfortunately, this clean-up is necessary throughout the day as well in order to keep the golf course playable forcing us to put projects on the back burner. As you are all aware, Elcona CC is designated as a Certified Audubon Cooperative Sanctuary, a title that we are very proud of. As part of maintaining our certification, we are asked to participate in several Outreach and Education programs that involve individuals from outside the club. 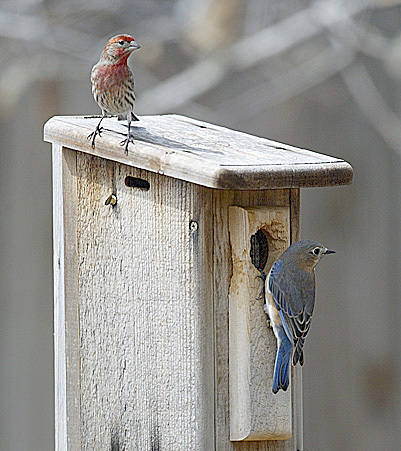 One of the programs that we are implementing is the construction and installation of additional Blue Bird nesting boxes on our property by the public. We have approached a local Eagle Scout that is willing to take on this project as well as monitor the additional boxes once they are in place. Currently, all of the monitoring is done by staff horticulturist Greg Stump. As of now, the arrangement is that Elcona will cover the costs of the materials to construct the Blue Bird nesting boxes and the Eagle Scout will build, install and monitor the boxes as part of his community service project. At this time I am seeking donations to help cover the cost of materials for this project. Each nesting box will be made from cedar and will cost about $15. Our plan is to construct approximately 25 nesting boxes at a cost of around $375 total. If you would like to make a donation to this project as well as future projects that we have planned, please contact myself or Pam in the front office and we will gladly assist you. You will have two options for donating: you may simply write a check or have your account billed for the amount you would like to donate. When making a donation, please let us know that it is for the Audubon Project Fund and we will make sure your donation gets allocated in the proper location. We have several projects planned for this year, including a raingarden that will be built outside the Grounds Building to help filter water that comes from washing off our equipment. Consider this your advance notice that we will also be soliciting donations for this project as well as member participation. The Elcona membership has always been very generous when it comes to donations for projects such as this and my hope is that a fund can be established that will allow us to complete several projects to beautify the club as well as enhance the environment.